The Qalandiya military checkpoint in the Palestinian West Bank is the main crossing for thousands of Palestinians to cross into East Jerusalem and Israel. 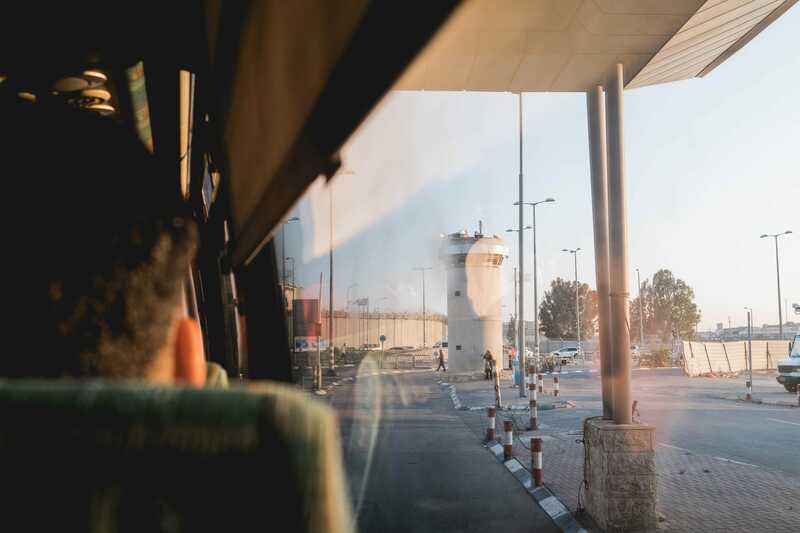 Around 26,000 Palestinians make the commute every day for work, visiting family in nearby villages cut off by a separation wall, or to receive medical treatment. While only a few miles apart, the journey can take hours. 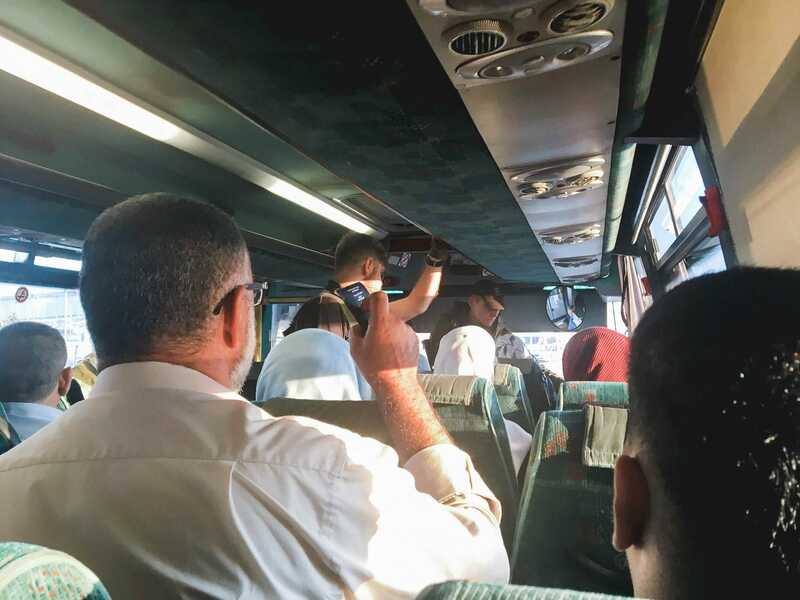 I recently took a bus from Ramallah in the West Bank to East Jerusalem so that I could experience passing through Qalandiya. 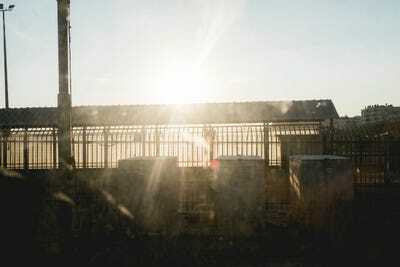 While my 10-mile journey took two hours, it paled in comparison to what many Palestinians say they go through everyday. Imagine spending hours every day to commute a few miles to go to work, visit family, or receive medical treatment. That’s the reality for thousands of Palestinians. 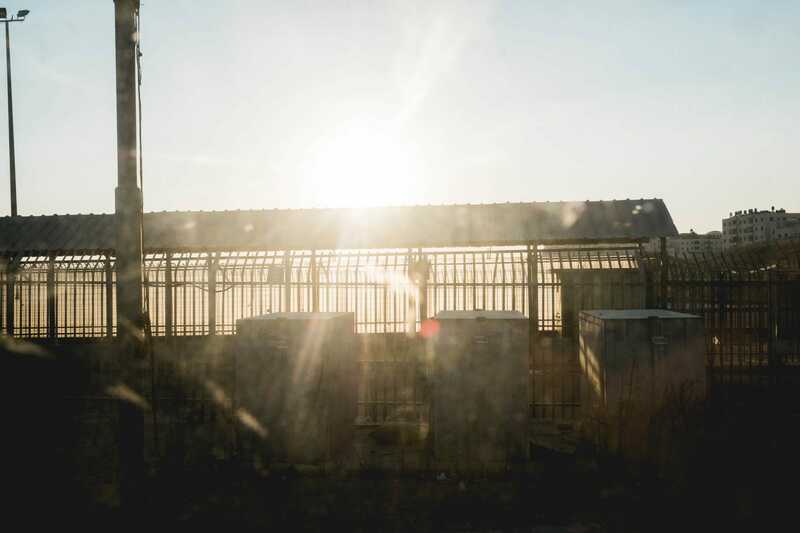 For the 2.8 million Palestinians living in the occupied West Bank, the main crossing point to enter East Jerusalem (and Israel, if they have the proper permits) is through the Qalandiya military checkpoint. 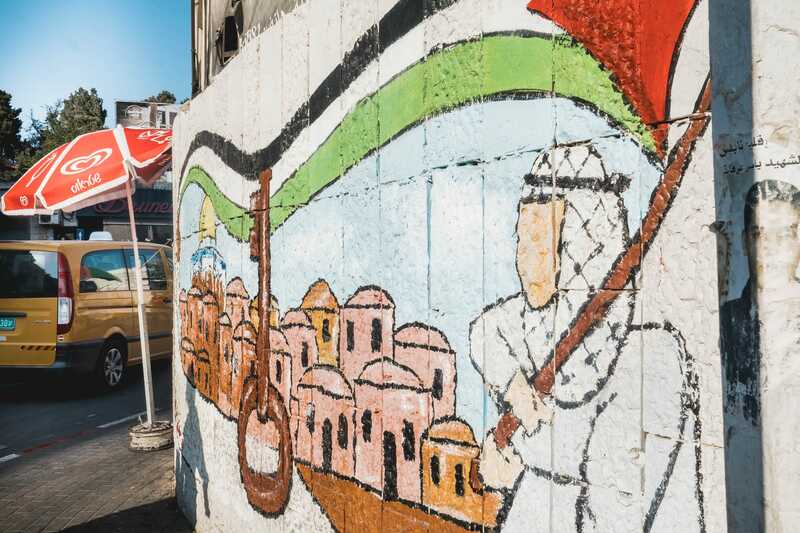 Around 26,000 Palestinians pass through Qalandiya each day, on foot, by car, or by bus – about a third of all daily crossings in and out of the West Bank. 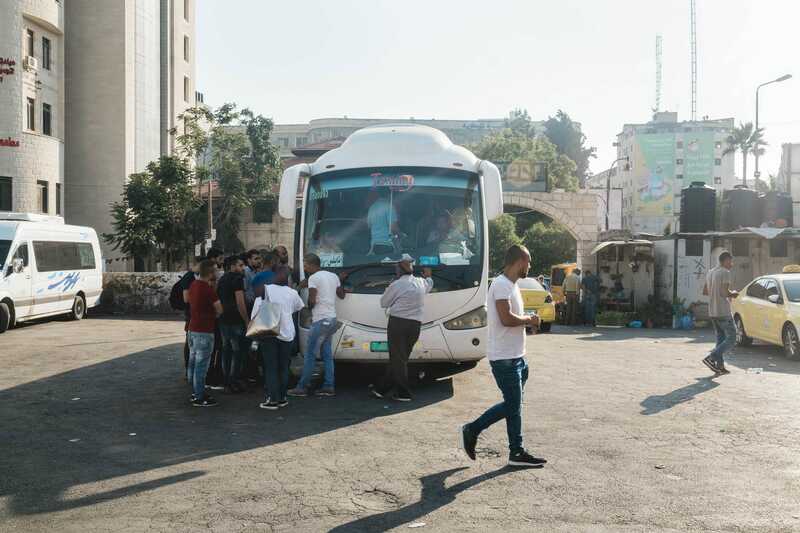 While checks are sometimes quick, there are often lengthy lines that stretch on for hours as Palestinians, and others passing through, go through extensive security screenings and document checks. 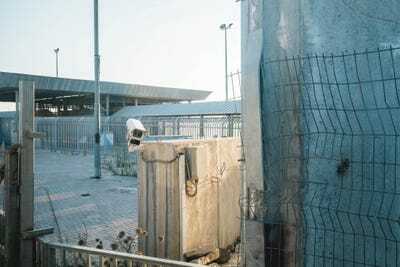 The checkpoint can be closed by Israel Defence Forces soldiers at any given time of any day with little explanation. 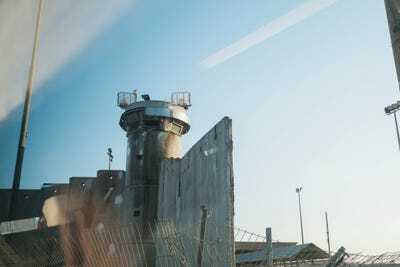 For many Palestinians, the Qalandiya Checkpoint has become the most visible symbol of the 51-year-long Israeli military occupation of the West Bank and East Jerusalem. 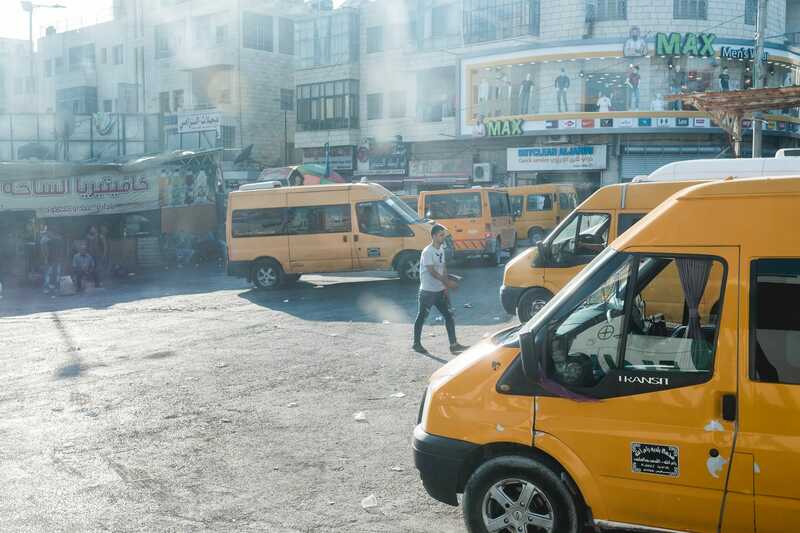 When tensions flare up, Qalandiya is a frequent site of clashes between protestors and rioters and IDF soldiers. It is both a tense place and a part of daily life no one can ignore. 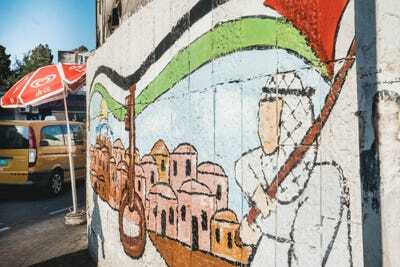 After visiting the Palestinian city of Ramallah in the West Bank recently, I had to pass through the Qalandiya checkpoint to head back to my hotel in Jerusalem, just 10 miles away. While my experience was far different from the everyday reality for Palestinians, it gave me a glimpse into the stressful and time-consuming process. 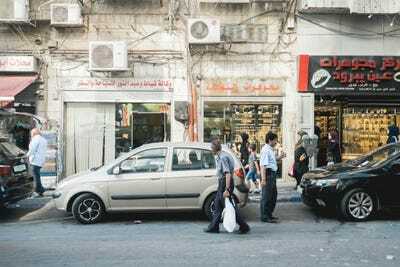 Back in July, I visited Ramallah in the Palestinian West Bank for a story. 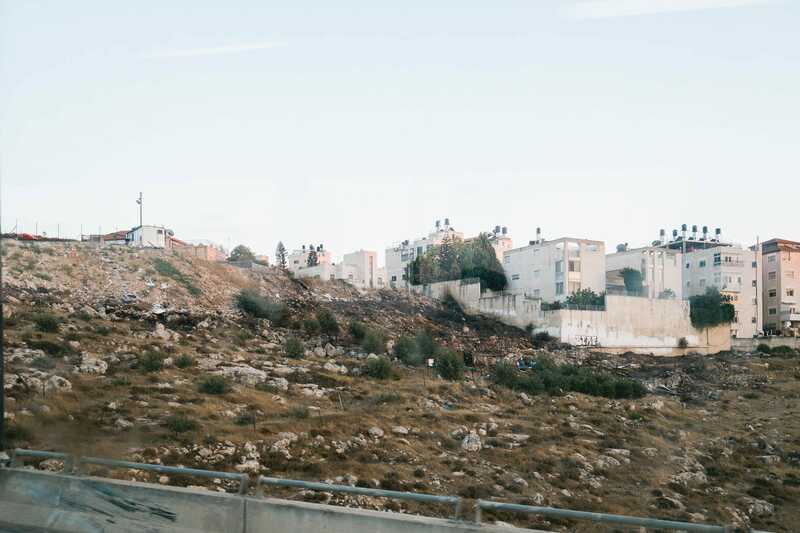 While not the West Bank’s largest city — that is Hebron — it is the de-facto capital for the Palestinian National Authority, the self-governing administrative body that runs the West Bank. The city has a population of just about 27,000 people, but it is a busy, chaotic, colourful city. When I walked through, it was a bit after 5 p.m. and people were getting off work. 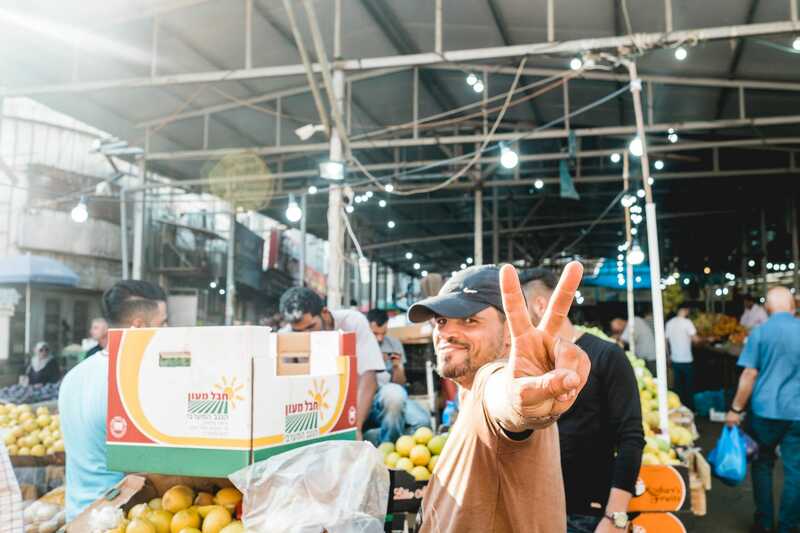 The market next to the bus station was in full swing when I stopped by to get a piece of fruit before making the journey back to Jerusalem. 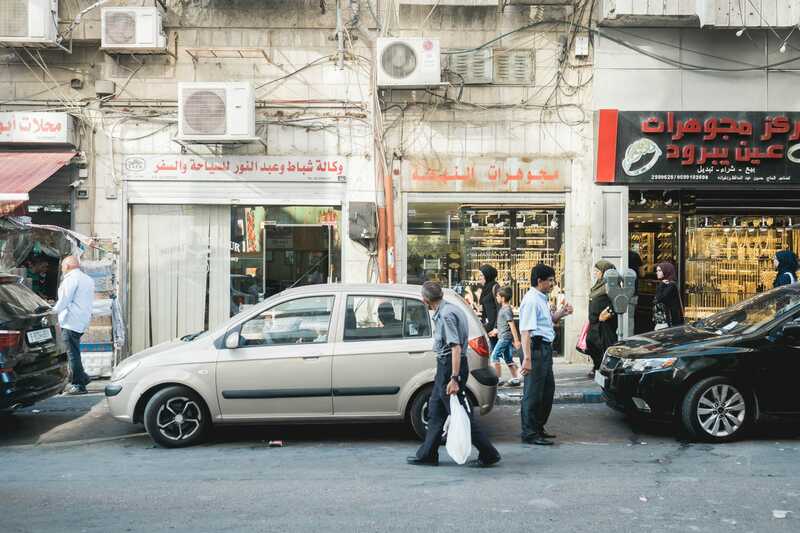 Ramallah is generally considered to be the most affluent and liberal of Palestinian cities. The people were exceptionally friendly. 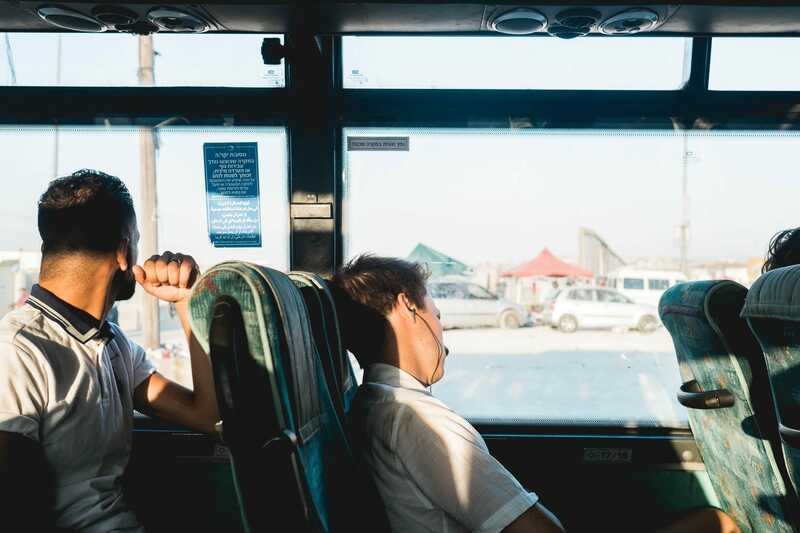 Knowing that the journey across the Qalandiya checkpoint can take a long time at rush hour, I tried to hold off for a bit. But around 6 p.m., I knew it was time to catch a bus. 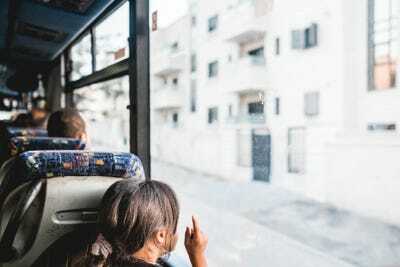 There are four bus stations in Ramallah. The bus station to Jerusalem is on Nablus Road. It’s more of a parking lot than anything else. 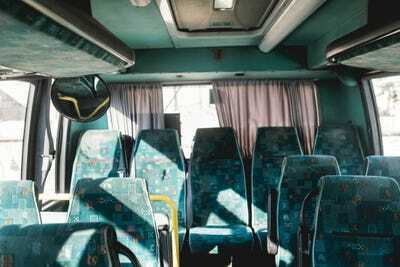 The 218 bus to Jerusalem leaves every 15 or 30 minutes, depending on the time of day. The bus station is also filled with service taxis (or servees), which are shared minibuses that take Palestinians to a number of destinations around the West Bank. I was the first one on the bus so I got a nice window seat. Within five minutes, the bus was about 75% full and left. The drive from the bus station to the checkpoint is only about four miles, but it took an hour to even get close. As most people travelling on the road are trying to pass through the checkpoint, it moves at a crawl. Along the way, you get a view of the 285-mile separation wall built in the early 2000s to separate the West Bank from Jerusalem and Israel. 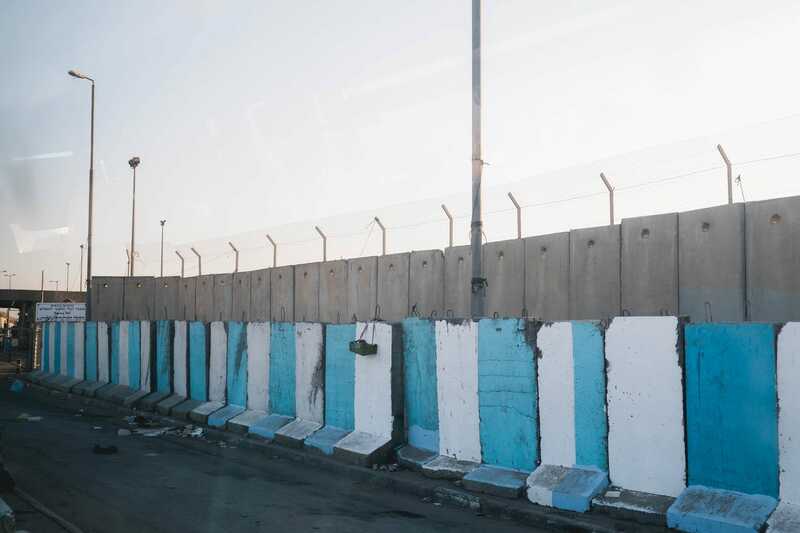 What you call the barrier — it is often referred to alternately as “The Apartheid Wall,” “The Security Fence,” and “The Border Wall” — says a lot about how you view the Israel-Palestine conflict. The wall was built in response to the wave of terror attacks that occurred during the Second Intifada. 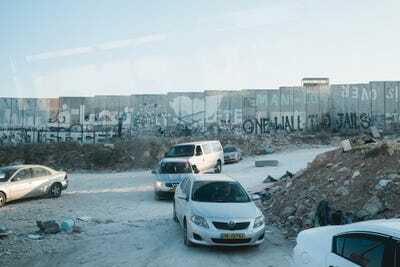 One of the main criticisms of the separation wall is that it doesn’t follow the borders established before the 1967 war, but rather cuts in and out of the West Bank, around Israeli settlements, and through Palestinian neighbourhoods and villages. 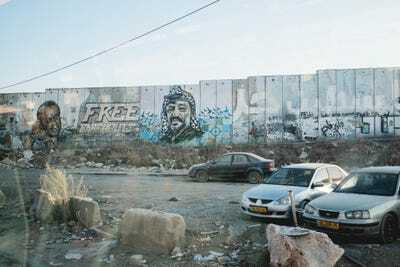 Many Palestinian cities are cut off from others due to the wall. Next to the checkpoint is the Qalandiya Refugee Camp, where more than 10,000 Palestinians live. The camp has been there since it was established in 1949 by the Red Cross. When we came into view of the checkpoint, the bus stopped so that more people could get on. About 20 people filled the bus, to the point where there were a few people standing in the aisle. 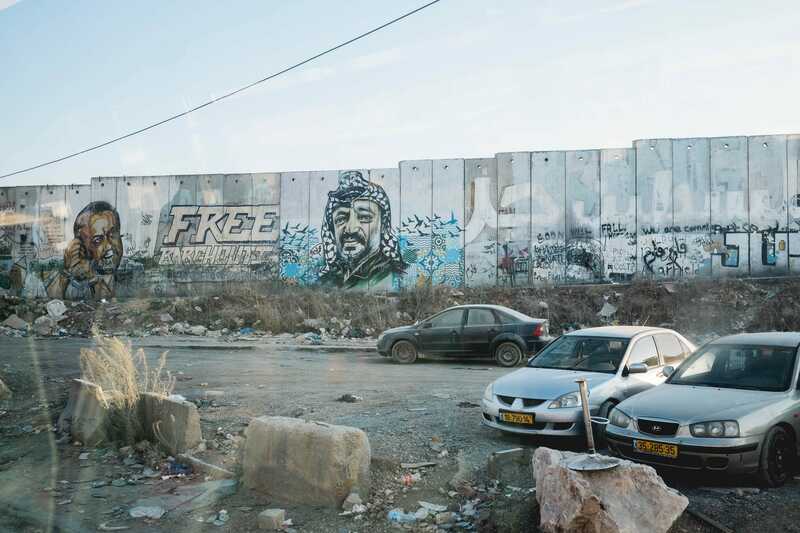 One of the most iconic graffiti paintings on the wall is this portrait of Yasser Arafat, the famous Palestinian political leader. Depending on how fast the line is going, getting through the checkpoint can take several hours. As we moved through the gridlock, I fell asleep for a good 30 minutes while it felt like we were at a standstill. 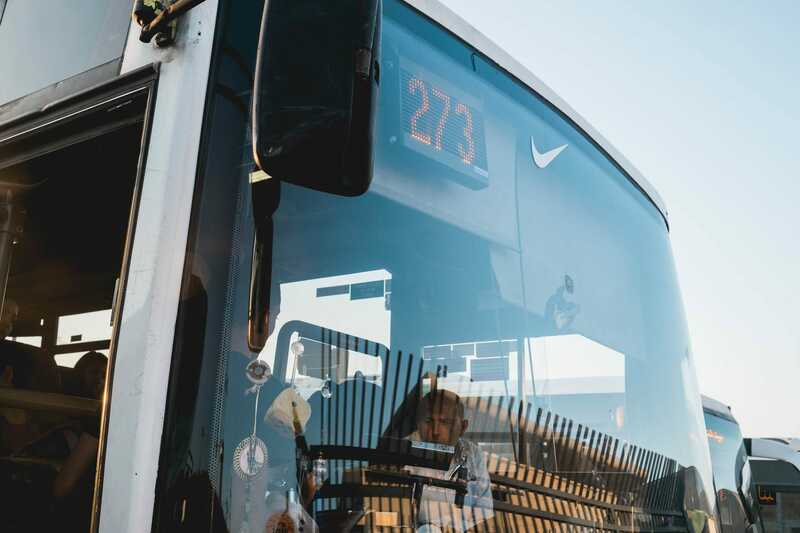 While many take the bus through the checkpoint, others must pass through on foot. There are massive guard towers to keep watch through the checkpoint. Four different Israeli groups run the checkpoint — the IDF, Israeli police, the IDF Civil Administration (the military/civilian administrative body that oversees life in the West Bank), and private security guards hired by the Defence Ministry. 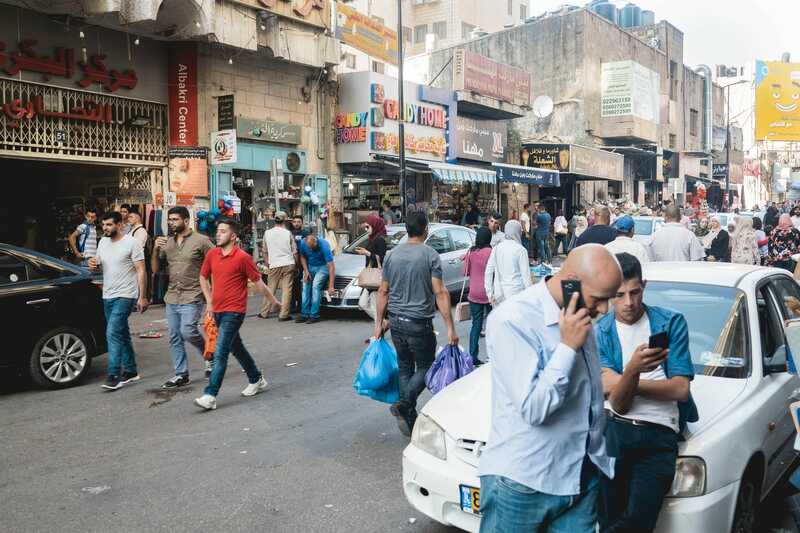 Getting a permit isn’t easy and many Palestinians complain that the permitting process is used as a means of control by the Israeli authorities. Security cameras are everywhere. After about 25 minutes of crawling we started to pass through the crossing. Not bad. Many report hours-long queues in the morning, because around 58,000 Palestinians leave the West Bank to work higher-paying jobs in Israel. One worker told the Times of Israel he leaves at 4 a.m. to get to work on time. As we got to the main gate, two young IDF soldiers boarded the bus to check everyone’s permits, ID cards, and passports. It was a tense moment as everyone held up their papers to be checked. The soldiers questioned a few people, but it was relatively quick. Many say the gauntlet of queues, fencing, and turnstiles is a dehumanising experience, particularly because it has no air-conditioning and can take hours when soldiers do more extensive questioning. Israel announced plans last year to spend $US11 million upgrading the crossing. But I didn’t experience that. 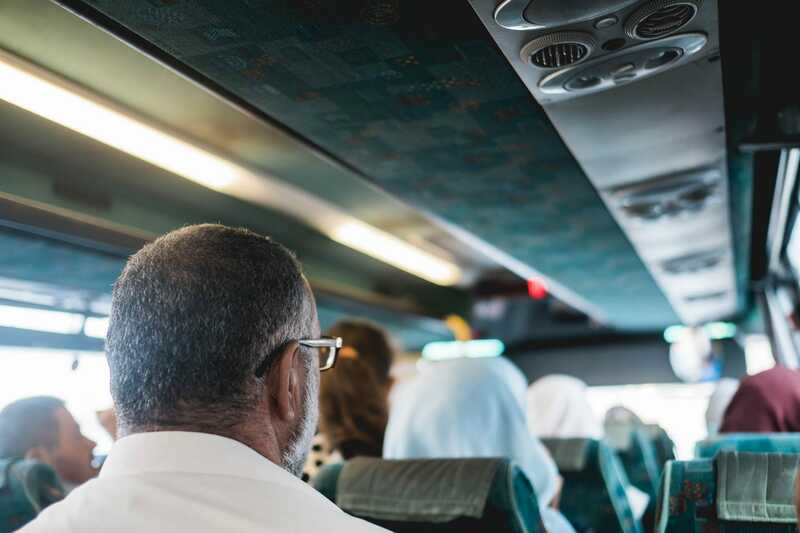 I had read that often times foreigners and elderly can stay on the bus for document checks, but, in my case, everyone stayed on the bus. When we got through, the bus stopped, everyone got off, and we boarded this other bus. 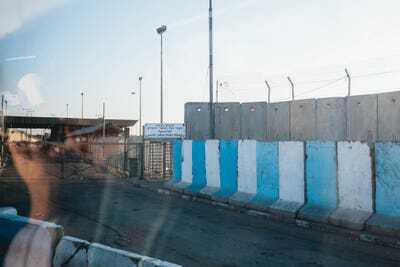 The Qalandiya crossing can take so long that there have been reports of babies being born there. In 2007, the Palestinian Ministry of Health said that since 2008, at least 68 pregnant women gave birth at checkpoints, leading to 35 miscarriages and 5 deaths. There is now a special “humanitarian gate” for women, small children, medical personnel, disabled people, and those needing medical attention. What is perhaps most striking about going through the crossing is how identical the landscape and the architecture is on either side of the wall. It may seem obvious, but it drives home how the wall has separated communities in the name of reinforcing security. 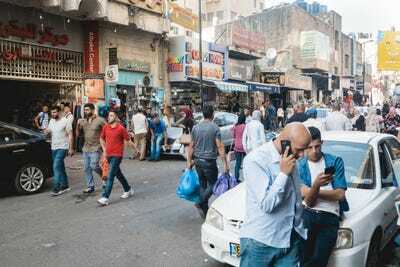 By the time I got to East Jerusalem, it was a bit after 8 p.m. A two-hour journey in total.